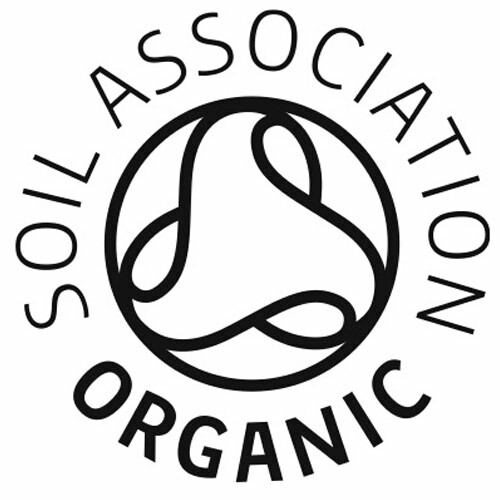 16 delicious multi-award winning organic chocolate truffles, handmade by Booja-Booja`s small team in Norfolk. 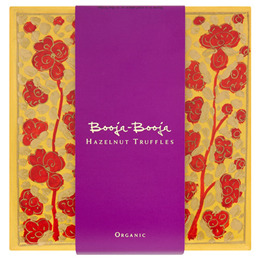 This beautiful box will remain a cherished piece of art long after the truffles are gone. Fifteen years ago, Booja-Booja began a relationship with Persian Dowry in Kashmir, India. Now 150 talented artisans make and paint these beautiful boxes, using intricate designs which have been passed down for generations. Persian Dowry endeavours to be a sustainable, community based organisation caring for the artists and their families. No machinery and minimal energy are used. Chocolate* (cocoa solids* 55%, cane sugar*, vanilla*), Coconut Oil*, Hazelnuts* 18%, Cocoa Powder*. Below are reviews of Booja-Booja Artist`s Collection - Organic Hazelnut Truffles by bodykind customers. If you have tried this product we'd love to hear what you think so please leave a review. Very nice chocolates, but would be better if wrapped in something biodegradable instead of the plastic foil. Box is quite pretty but not that well made. Bought as a present for a friend, who was very happy with them and declared they were delicious.